Advice to Green Bay Packers linebacker Clay Matthews: next time he wants to sack an opposing quarterback, he must ask permission to do so. Next, he's got to get a signed note from officials and the opposing team stating that it's OK to tackle the quarterback. Then, before bringing the passer to the ground, make sure there is a bed of pillows on the ground where the opponent will fall. Finally, just don't make the tackle, it's still too risky. Yup, that was a penalty. 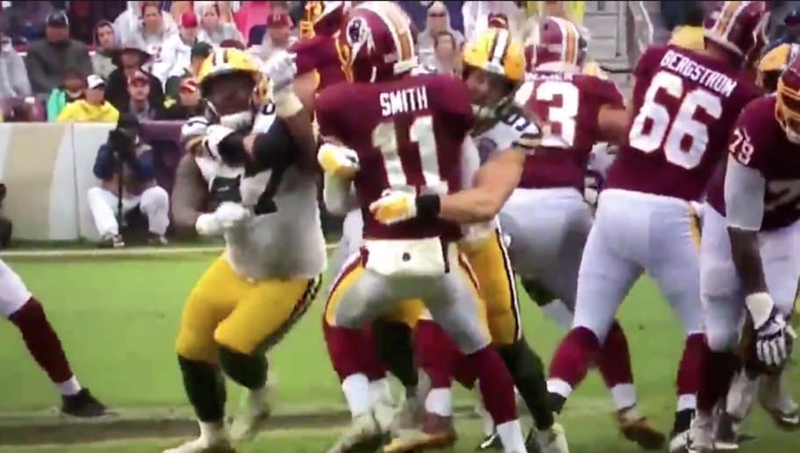 Another game-changer following the ridiculous one called last week when Matthews sacked Vikings quarterback Kirk Cousins on a critical play that wiped away a game-clinching Packers interception. We understand the officials are trying to make the game safer, but this is just overboard now. Head coach Mike McCarthy was absolutely livid as he should be. The NFL has to find a way to get this call right. Two weeks, two major failures that crushed the Packers again.